High mountain Oolong doesn't make much sense from a Northern Chinese perspective. This tea could only be invented in the south of China. Why? North China has a very different geography than the south. The northern plains are very fertile, but much drier and colder than the warm south where you find mountains and wetlands. North China's rich soil is very well suited to grow cereals, while the south is better suited to grow rice and fruits. (That's why noodle restaurants in Taiwan are often referred as 'northern food'). During the early Song dynasty, these fertile and big northern plains were the most important part of China. That's why the capital was located in Kaifeng (Henan province) from 960 to 1127. These lands belonged to rich and powerful families and the emperor was able to levy relatively high taxes on them in order to pay for his army (80% of tax revenues went to the army!) Land in the mountains or in the wetlands didn't yield as much food as these plains, which is why it was cheaper, or free to be claimed, and less taxed (or not taxed at all in the case of mountains). That's why, during the first millennium, many poor Chinese gradually moved southward, even before the Northern Song collapse. This debacle happened in 1127 when the nomadic Jürchen tribes seized control of the rich lands in the North. What is interesting with this ancient history, is that this geographical divide continues to impact the two Chinese mindsets. The northern mindset, symbolized by Beijing, is that of big projects, centralized power and an aristocratic elite, while the south of China favors small companies, an independent mindset and creativity. In the north, successful agriculture requires big land and cheap labor. In the south, small plots are grown by industrious families for their own benefit. In the north, output maximization is key. In the south, the success comes from the talent and creativity to cultivate wetlands or on mountain slopes. There, the first challenge is to domesticate nature in order to be able to grow something! A northern Chinese mindset would want to cultivate tea on a very large scale, in plains and harvest it as often as possible. Then it would turn it into a finished product very quickly and simply either by not oxidizing (green tea) or fully oxidizing (red/black tea) the leaves. 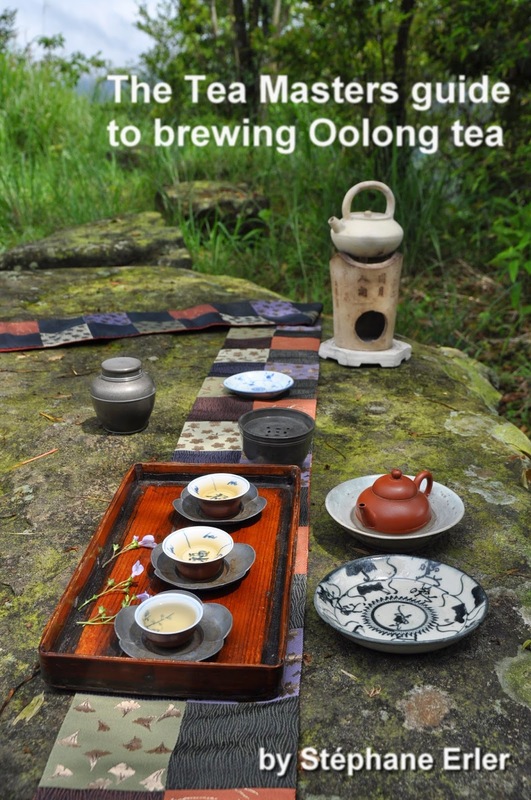 In this regard, high mountain Oolong is very much a product of the southern Chinese mindset. Its goal wasn't to become profitable because of an easy production, but because it would be difficult, rare and special. No central plan launched this kind of tea, but it became popular because tea drinkers in Taiwan liked it and were willing to pay more for its outstanding quality. In the late 1980s and early 1990s, high mountain Oolong spread higher and higher, because the farmers realized that the cool high mountain weather improved the finesse of the taste. At first, this was really a counter-intuitive move, because this cooler weather would reduce the yields compared to the plains of Mingjian (Nantou county) and there was no guarantee that the taste would improve. But this tea had an advantage that would keep its price reasonable: the fact that it isn't a simple green tea, but a complex Oolong. 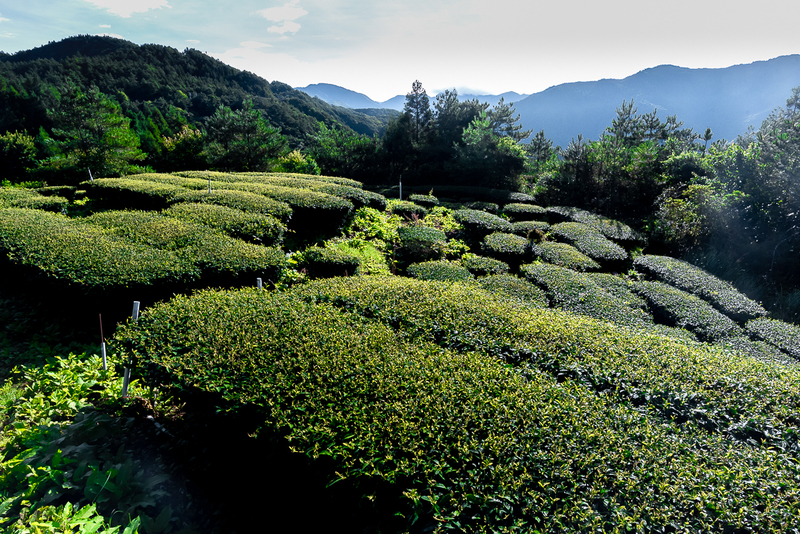 For a green tea, key to quality is to harvest the leaves when they are still buds, very small. With its partial oxidation, a small leaf size isn't the key factor, but the freshness and energy contained in the leaves: as long as the afternoons are misty and the nights cool, large high mountain leaves remain fresh and sweet. 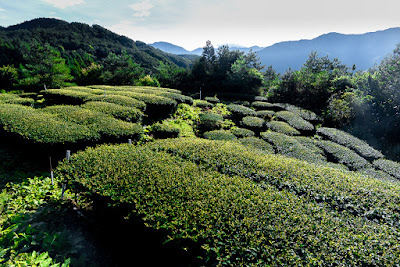 The skill of the tea producer is to oxidize the mix of buds and young (large) leaves in harmony with their freshness and with the character of its origin (mountain, season, weather). Thus, having bigger leaves and stems helps reduce the price per gram of high mountain Oolongs even though it also increases the time (and skill) required to produce it (compared to green tea). For all these reasons, every batch of high mountain Oolong is different! High mountain Oolong tea is completely unlike wheat or millet, cereals grown in the north and sold by the ton. In this regard, Oolong tea is much more similar to Burgundy, Bordeaux, Napa valley... wine. And that's why it's so important to rely on an experienced taster to select the best possible quality from a very large choice of uneven quality! (Note: bad quality isn't always the farmer's fault. Sometimes he has to harvest under poor weather conditions or the tea isn't stored or roasted properly by a wholesaler/roaster). - Quality: during Qing dynasty, the price for the best WuYi Yan Cha was the same as gold! - Creativity: the Chaozhou gongfu cha method of brewing tea resulted in new tea ware that was both functional and beautiful: small Yixing teapots, small porcelain cups, pewter tea caddies and saucers, small red or white braziers (Nilu), small kettles... Nowadays, you also find creativity in the Chaxi, the way the tea is set up. 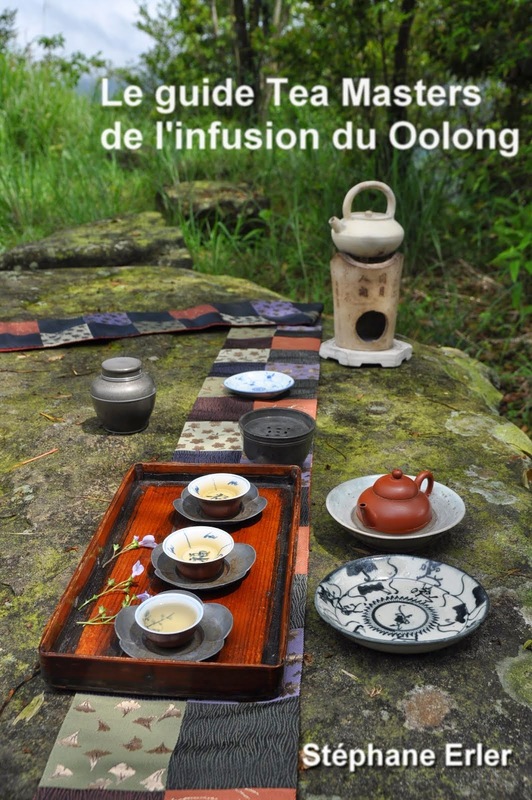 Human connection: in Chaozhou, tea was drunk by small groups of 3 persons. Such small groups meant that you were - or would become - good friends if you spent time sharing delicious tea. This article was a great class! I love it when I read something about tea that I have never even thought of before- a new and novel perspective. This is one such writing. Thank you Toni and Matt for your kind words.